Can you believe it? It’s already almost that time of the year again! We’re just a couple months away from Christmas carols, cozy sweaters, and hot cocoa. That said, it’s time to start thinking about where you’re going to have your work and family holiday get-togethers. We would like would like to humbly suggest our Tulsa Christmas party venue at Meadowlake Ranch! Whatever type of party you’re imagining, we can make it a reality. Our facilities are perfectly suited for both large or small gatherings, either indoors or outdoors. The staff at our Tulsa Christmas party venue goes out of their way to make sure that your holiday get-together is a success. Our attention to detail and versatile facilities mean that we can be the one stop shop for all of your Tulsa Christmas party venue needs! We can’t wait for you to experience the Christmas magic we bring to life every year at Meadowlake Ranch. When you are planning a holiday get together, there are a number of different items you should most definitely take into consideration before signing up to rent a Tulsa Christmas party venue. Here at Meadowlake Ranch, we know that the details matter. So here are just a few tips from our team to help get you headed in the right direction for all of your holiday party planning! Okay, we know what you’re thinking. “It’s a holiday party! I already have my theme!” But we would beg to differ. When it comes to your Tulsa Christmas party venue, there are any number of directions you could take for your holiday party. And having a clear idea of what direction you want to take things will make the party planning process all the more simple. A Christmas party without a theme is like a compass without a needle. It’s hard to take your guests on a magical Christmas journey without any clear sense of direction. Do some brainstorming beforehand to determine if your party is going to emphasize a classic Christmas theme, with fancy turtlenecks, smooth Christmas toons, and an all-out Christmas dinner. Or determine if you would rather take things in a direction with a fun modern theme, like a tacky Christmas sweater party with over the top decorations and Christmas cookies galore! The better you know what you want out of your party, the better you’ll be able to bring that to your guests. And our Tulsa Christmas party venue is here to help. We offer a wide range of amenities and services that will fully meet all of your holiday party needs. When it comes to price, headcount is the single greatest indicator as to how much things are going to cost you. There is a monumental difference between feeding twenty guests, and feeding one hundred guests. The earlier that you can determine how many guests you will likely have, the better! This will greatly expedite your planning process, and keep you from having to run any last second trips to the grocery store to pick up extra food for the guest that you did not anticipate showing up. If your event is somewhat less formal, our Tulsa Christmas party venue team would like to suggest that you start a Facebook event page for your Christmas get together. Facebook event pages are great because they are one of the fastest ways to get a large event together with a fairly accurate headcount. Facebook ads the extra function for guests to say that they will maybe attend. If you factor in that roughly half of your maybe guests will show up, then you are already off to a more accurate headcount. If you’re not thoroughly comfortable with technology, there are tons of great video tutorials and how-to videos for creating your online event. When you are planning an event, your budget matters. Your budget is a key player in determining what food you might want to provide or the general theme of your party as a whole. Make sure that you set a clear budget right from the outset so that you can avoid any potential overspending. Our Tulsa Christmas party venue team suggests determining how much the food for a single person at your party would cost, and then multiplying that number by however many guests you anticipate. Keep in mind that it is always a good idea to have a little bit of extra food rather than too little food. Our Tulsa Christmas party venue team suggest this because some guests are likely to eat more than other guests. Having some extra helps ensure that everyone is fully accommodated, and no one goes home at the end of the night feeling hangry. If you are looking for a fun way to keep costs low, our Tulsa Christmas party venue team would like to recommend having a potluck style gathering, where everyone brings a dish to share. This can be a great way to experience your friend’s and family’s favorite seasonal dishes while keeping the overhead food costs low. Just be sure to give your guests a well in the advanced notice if this is the direction that you plan to go so that they will have the necessary time to prepare something to contribute. If you wait too late, it’s possible that no one will bring anything, and this can spell disaster if you were counting and guests to bring their own dishes. Your budget will also help you determine the best spot to host your Christmas gathering. At our Tulsa Christmas party venue, we have a wide range of options with varying price points that are bound to work within your budget. If you would like more detailed information, or would even like to take a tour of our facilities, our staff would love to help! 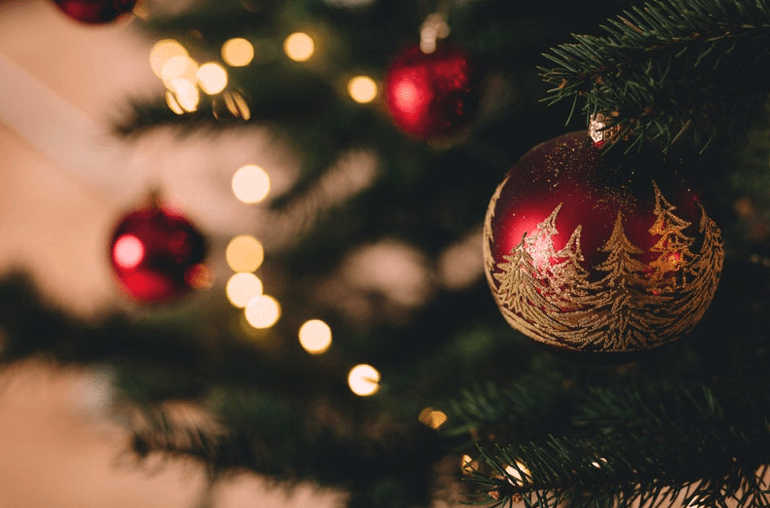 Feel free to connect with us so that we can address any questions or concerns that you might have about booking our Tulsa Christmas party venue for your next holiday party.